This book comes out of twenty-five years of research and analysis using social indicators to explore how nations function and how governments can improve life for their citizens. 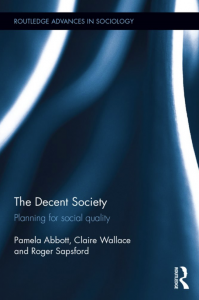 The book’s title, The Decent Society, reflects the authors’ firm belief that no society is perfect and that there are many routes towards ‘good enough’ governance. The authors have constructed what they call the Decent Society Index. This is a method which shows potential and combines the merits of indices and dashboards. This approach is chosen to increase our understanding of what is going on in the world in general while permitting detailed discussion and scrutiny of individual countries’ histories, problems and political goals. 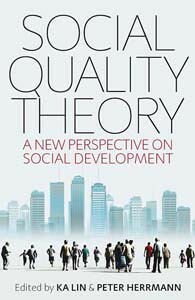 Central is their analysis of societal processes from the perspective of a social quality approach. Their research has looked particularly at the countries of the former Soviet Union and at Rwanda in central East Africa – all examples of countries recreating themselves after a disastrous past. Published by Routledge, 2016, available in print and as eBook. Pamela Abbott is honorary professor in the School of Social Sciences and an associate of the Centre for International Sustainable Development, both at the University of Aberdeen, UK. Her main research interests are in gender, quality of life and sustainable development. Claire Wallace is Professor of Sociology, University of Aberdeen. She has co-authored a number of reports on wellbeing and quality of life for the European Foundation for the Improvement of Living and Working Conditions, Dublin. She has written a number of articles on Social Quality together with Pamela Abbott and Roger Sapsford. Roger Sapsford has recently retired from the post of Professor of Social Psychology and Research Methods at the National University of Rwanda. He has published in research methods, psychology of identity, psychological survival and life satisfaction. Available in Chinese from amazon.cn. The book consists of four parts. The first part describes the societal basis of social theory and explains the essentials of the theory. Part II expands on the theoretical basis. Part III focuses on comparing national data on key issues and proposes appropriate policies. 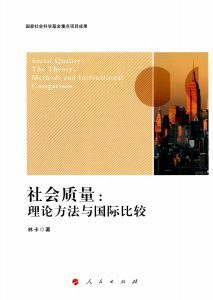 Part IV explores the social policy model for analytical and methodological research. Read a summary in English.